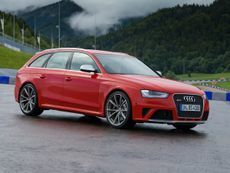 Read the Audi RS4 Avant car review by Auto Trader's motoring experts, covering price, specification, running costs, practicality, safety and how it drives. 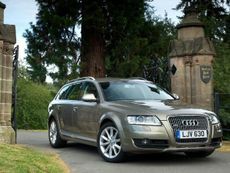 Read the Audi A6 allroad estate (2012 - ) car review by Auto Trader's motoring experts, covering price, specification, running costs, practicality, safety and how it drives. 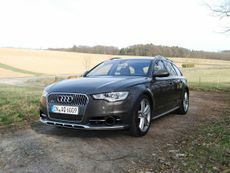 Read the Audi A6 Avant (2011 - ) car review by Auto Trader's motoring experts, covering price, specification, running costs, practicality, safety and how it drives. Read the Audi Q3 4x4 (2011 - ) car review by Auto Trader's motoring experts, covering price, specification, running costs, practicality, safety and how it drives. 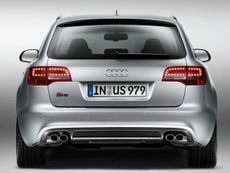 Read the Audi RS 3 Sportback hatchback (2011 - 2012) car review by Auto Trader's motoring experts, covering price, specification, running costs, practicality, safety and how it drives. 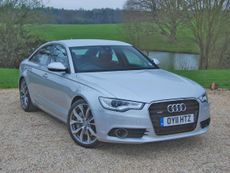 Audi A6 saloon (2011 - ) car review by Auto Trader's motoring experts, covering price, specification, running costs, practicality, safety and how it drives. 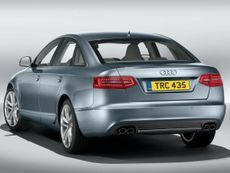 Read the Audi A4 Avant estate (2008 - ) car review by Auto Trader's motoring experts, covering price, specification, running costs, practicality, safety and how it drives. 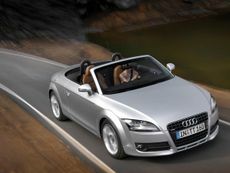 Read the Audi TT Roadster convertible (2007 - 2014) car review by Auto Trader's motoring experts, covering price, specification, running costs, practicality, safety and how it drives. 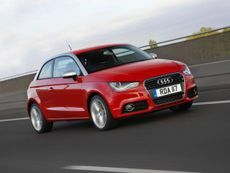 Read the Audi A1 hatchback (2010 - ) car review by Auto Trader's motoring experts, covering price, specification, running costs, practicality, safety and how it drives. 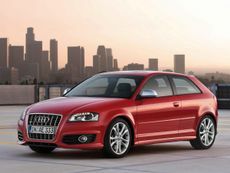 Read the Audi S3 hatchback (2006 - 2012) car review by Auto Trader's motoring experts, covering price, specification, running costs, practicality, safety and how it drives. 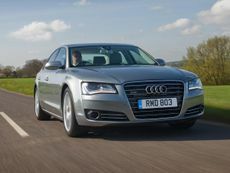 Read the Audi A8 saloon (2010 - ) car review by Auto Trader's motoring experts, covering price, specification, running costs, practicality, safety and how it drives. Read the Audi A4 allroad quattro estate (2011 - ) car review by Auto Trader's motoring experts, covering price, specification, running costs, practicality, safety and how it drives. Read the Audi A5 Sportback hatchback (2011 - ) car review by Auto Trader's motoring experts, covering price, specification, running costs, practicality, safety and how it drives. 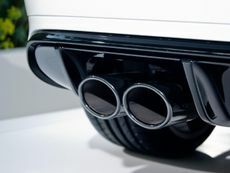 Read the Audi A5 Cabriolet convertible (2009 - ) car review by Auto Trader's motoring experts, covering price, specification, running costs, practicality, safety and how it drives. Read the Audi Allroad estate (2006 - ) car review by Auto Trader's motoring experts, covering price, specification, running costs, practicality, safety and how it drives. 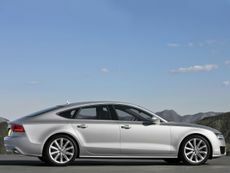 Read the Audi A7 Sportback hatchback (2010 - ) car review by Auto Trader's motoring experts, covering price, specification, running costs, practicality, safety and how it drives. 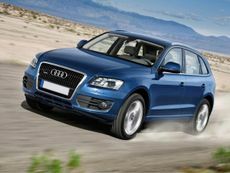 Read the Audi Q5 4x4 (2008 - ) car review by Auto Trader's motoring experts, covering price, specification, running costs, practicality, safety and how it drives. Read the Audi S6 saloon (2006 - ) car review by Auto Trader's motoring experts, covering price, specification, running costs, practicality, safety and how it drives. 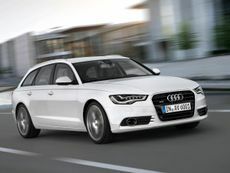 Read the Audi A6 Avant estate (2004 - 2011) car review by Auto Trader's motoring experts, covering price, specification, running costs, practicality, safety and how it drives. Read the Audi S6 Avant estate (2006 - ) car review by Auto Trader's motoring experts, covering price, specification, running costs, practicality, safety and how it drives.